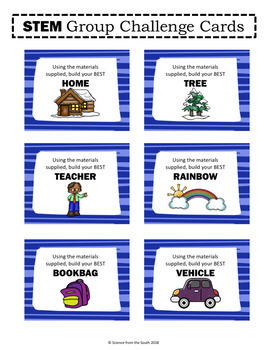 For teachers that like to use hands on and interactive activities through the year to teach their students, there's no better way to teach that type of behavior than an activity itself. 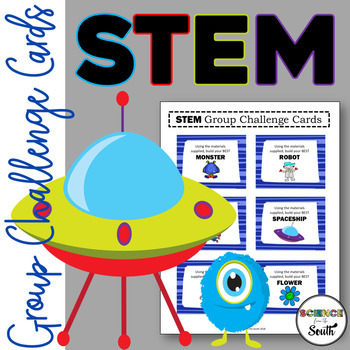 Use this highly engaging STEM activity to help your students think creatively and innovatively, to learn how to work in groups, and to learn how you would like for them to behave in your classroom. 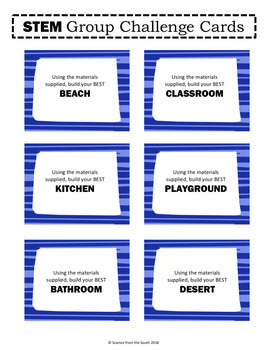 This download includes sets of cards that challenge students to engineer and build something out of recycled materials or craft supplies. 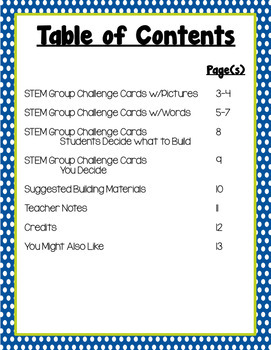 Use the ideas on the cards for the challenge, come up with your own, or let students decide. Need more information about the activity? CLICK HERE to check it out. •	Please go to your My Purchases page (you may need to login). Beside each purchase you'll see a Provide Feedback button. Simply click it and you will be taken to a page where you can give a quick rating and leave a short comment for the product. Each time you give feedback, TPT gives you feedback credits that you use to lower the cost of your future purchases. Feedback and ratings are greatly appreciated.